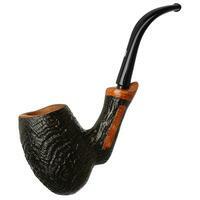 Decidedly sinuous of S-curve, this bent Billiard from Castello juxtaposes sweeping curves and supple lines with a structured, architectural square shank. 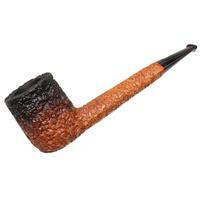 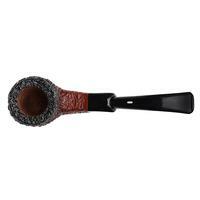 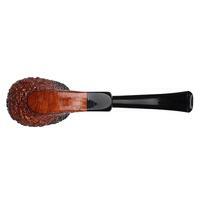 Despite said shank's firmness, it blends seamlessly to the rounded, deeply chambered bowl through the transition. 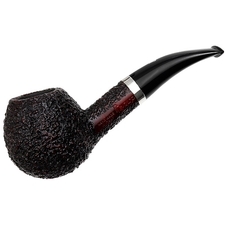 Quite the neoclassic piece, its proportions favor the bowl considerably, especially with the negative space afforded by the push-style stem. 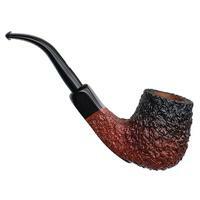 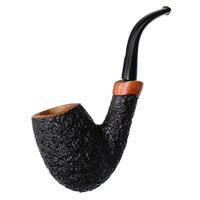 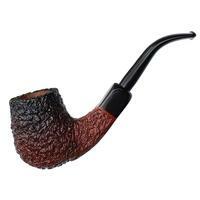 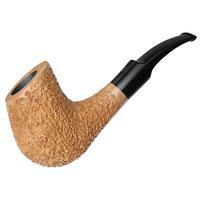 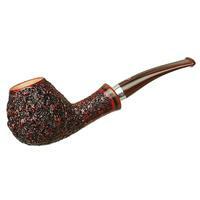 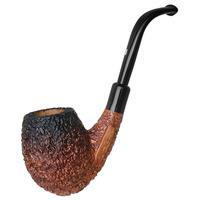 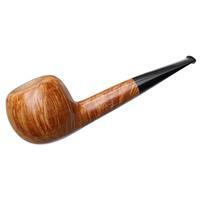 It's all dressed in the Sea Rock Briar's delightful rustication and a rich, chestnut stain, replete with some fuming toward the rim. 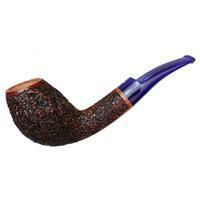 Chamber Diameter: 0.90 in./22.86 mm.